Dr. William Brown received a Master’s in Physiology before he attended medical school at Virginia Commonwealth University School of Medicine in Richmond. He continued his medical education in internal medicine, cardiology and interventional cardiology at Baylor College of Medicine in Houston. 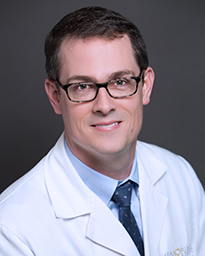 Board certified in internal medicine and cardiology, Dr. Brown has clinical interests that include ischemic heart disease, coronary artery disease, peripheral arterial disease, acute myocardial infarction and maintaining his expertise in the latest interventional cardiovascular technology. He also has an extensive background in nuclear cardiology, echocardiography, arrhythmia management including pacemaker placement and prevention/treatment of heart disease with medications. Dr. Brown enjoys treating each of his patients with the personal attention they each deserve. He is dedicated to providing state-of-the-art, evidence-based care to adult patients. He considers it a privilege to partner with his patients and their families on their journeys of health and wellbeing. A member of the American College of Cardiology, Dr. Brown has published numerous articles in medical journals and text books. He also has presented his research at national medical conventions. Dr. Brown and his wife have two children. Outside the clinic, Dr. Brown stays active with sports and fitness, and cherishes his time with his family. HOUSTON (April 13, 2017) – The Texas Medical Center (TMC) today announced that its Board of Directors has appointed William F. McKeon as President and Chief Executive Officer and member of the Board of Directors, effective immediately. HOUSTON (December 29, 2016) – A new study broke down the major causes of death in the US by county. For Harris County and surrounding Houston-metro counties, cardiovascular disease was the most common cause. Dr. William Ross Brown, a cardiovascular disease specialist affiliated with Memorial Hermann Memorial City Medical Center, talks about cardiovascular disease and how to keep your heart healthy.